A former publishing colleague and maker friend assured me that books–print on paper books–are making a comeback, that digital just doesn’t deliver our tactile need. 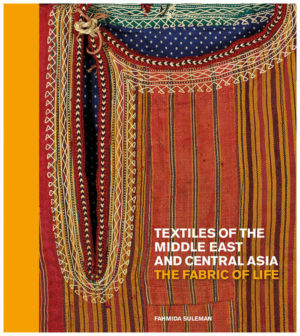 I ask you, how can a textile book ever be anything but print on paper? A textile book has to be held in the hand no matter what the heft and referred to many times over. 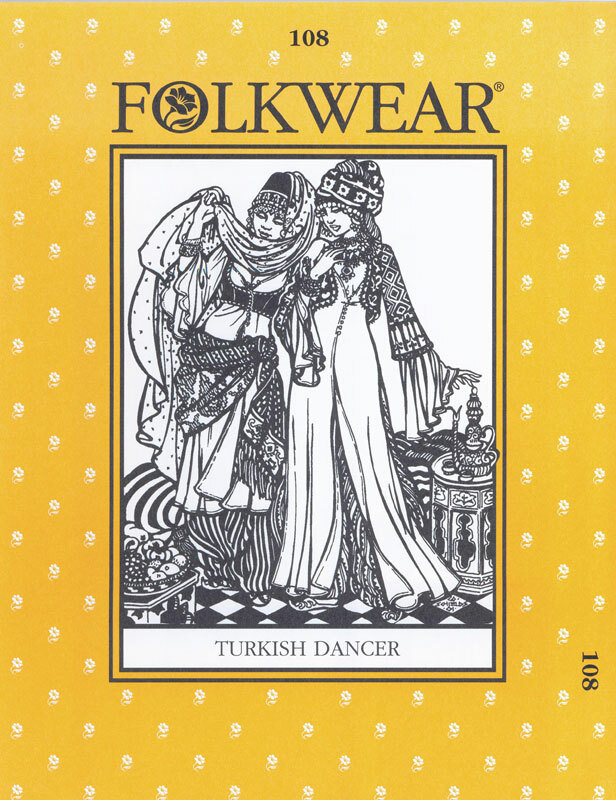 The images and words activate a sense of travel or longing, or bring a cultural awareness so needed during these times, or provide indepth information on a textile tradition or its maker. They bring the world a little closer or an escape to worlds faraway. The following books on our wish lists may be historical or maker-oriented; they may be connecting points to what has been; or set in motion new paths for us to create. But no matter what, our book reviewers would agree that a textile book is always the perfect gift to answer our need to touch. We complete our list with new releases by our sister company, Thrums Books. This book is as close to walking through a well-curated and documented exhibit as one can get. 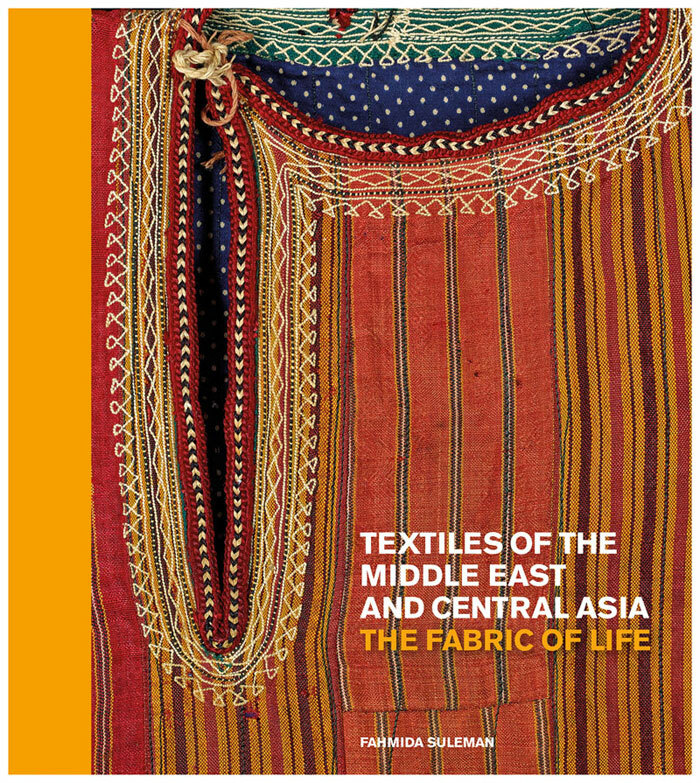 With lush photography printed on thick, glossy paper, the 232 pages are alive with more than two hundred Middle Eastern and Central Asian textiles, selected from the British Museum’s renowned collection of nearly three thousand pieces from this region. Dr. Fahmida Suleman’s approach to the collection in the book is the arranging of content thematically allowing cross-regional comparisons of function, significance and symbolic meaning: childhood, marriage and ceremonies, status and identity, religion and belief, house and homestead, and politics and conflict. While it looks like a reference book, it goes far beyond that. It addresses the relevancy of current day dress and issues which I found refreshing and awakening. I was particularly drawn to an embroidered inscription on a cloak made by Iranian felt artist Bita Ghezelayagh (b.1966): ‘There is no better souvenir than that which is made by hand.’ It serves as a reminder of the importance of textile making and why the work of our hands is ever more critical to our survival. To everything there is a season and the release of this book is perfectly timed for winter. If it happens to appear wrapped up for you this holiday, you will cuddle in with it and slowly turn its pages. 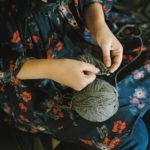 The next best thing, would be if someone gifted you one of the many yarns so deliciously described and photographed that you could begin knitting away without leaving the comforts of your chair. If you don’t know the author and knitter Hannah Thiessen, you will certainly prescribe to her approach of slow knitting by the end of the book. She lays out her tenets in the introduction—source carefully, make thoughtfully, think environmentally, experiment fearlessly, and explore openly. She then delves into each of these individual principles per section, including two yarn profiles of a person or company who exemplify a principle and a pattern using their yarn. 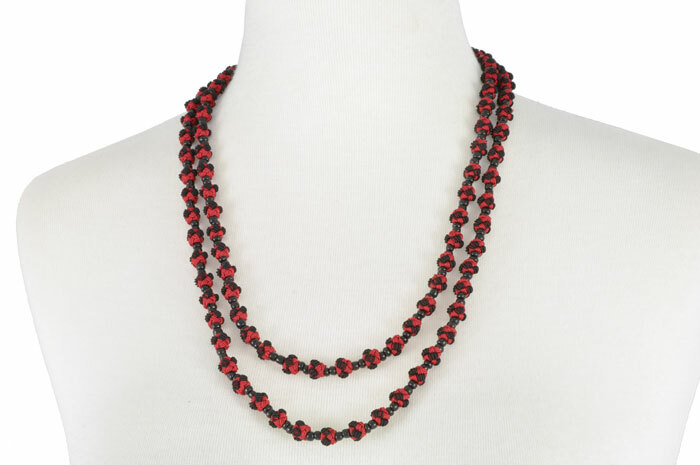 I appreciated the variety of projects from relatively simple accessories to technically challenging and time-consuming ones by ten well-trained, industry-established designers such as Norah Gaughan, Pam Allen, Véronik Avery, and Bristol Ivy. Each section wraps up with “Yarn for Thought” where we’re briefed about current trends among yarn producers–free range (embodiment of careful sourcing), handmade (small-scale processing and heritage wool breeds), organic (ranchers and raising of animals), innovation (new blends and twists), and wanderlust (culturally significant and artisan sustaining). If you’re a newish handknitter, or drawn into knitting by the farm-to-fleece and local sustainability movement, or just want to change your approach to knitting, Thiessen will convert the uncoverted to cherish every part of the making process. The book itself is designed to envelop the reader and just slow you down—the cover type is embossed, the page layout has wide margins and generous line spacing of type, the paper is matte finished and thick, and the photography captures texture and detail in a darkish, moody way. 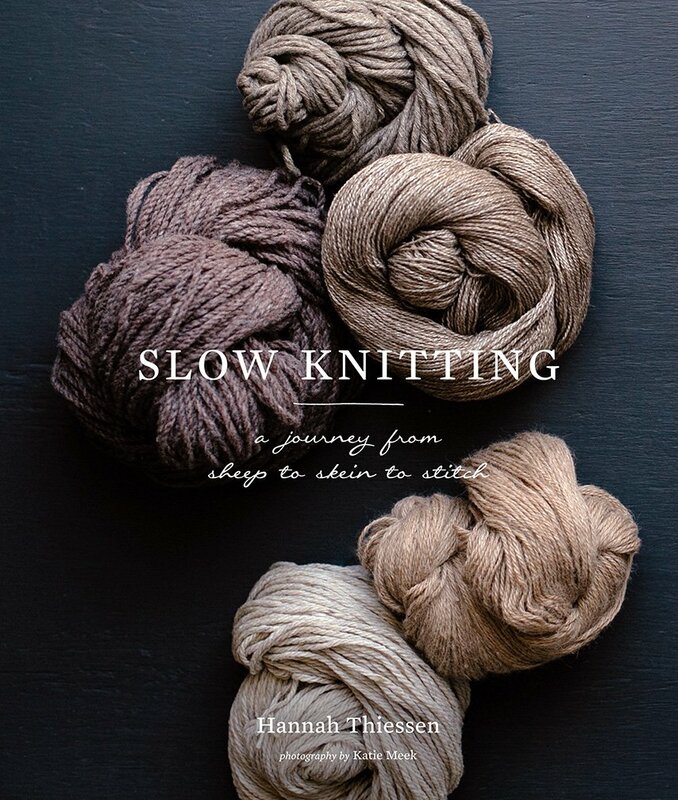 The last paragraph in Thiessen’s introduction is a challenge to rediscover or enhance your own love of knitting and embrace her tenets of slow knitting. I took it as my own personal challenge to clean up my knitting act. Somenow her words of, “Set no boundary for finishing…If it is not completed in time, it will be eventually,” spurred me to finish a sweater ten years in the making, a hat three years underway, and a vest started a year ago. All other projects have been ripped and the yarn donated to a local school (maybe that’s the “think environmentally” tenet). 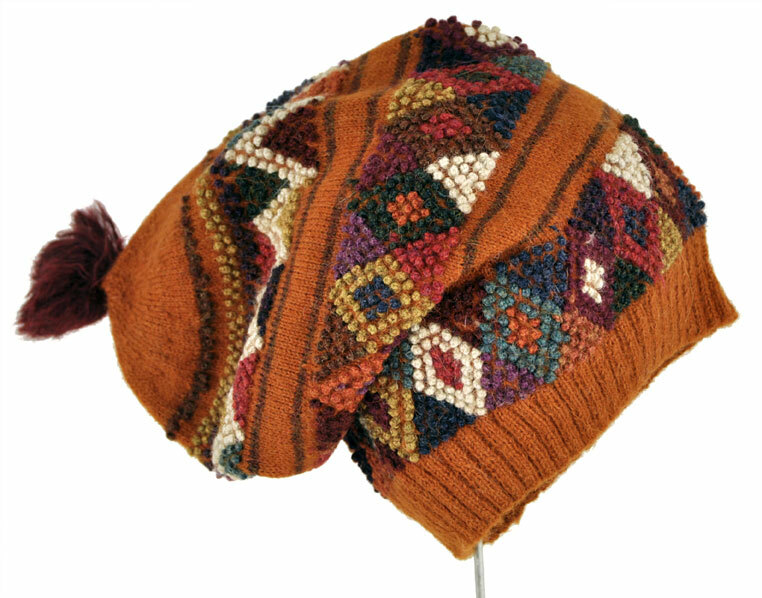 I now only have one knitting project underway and I’m saying “no” to beginning another one until a yarn jumps into my hand and, stroking it like a soft pet, I take it home. 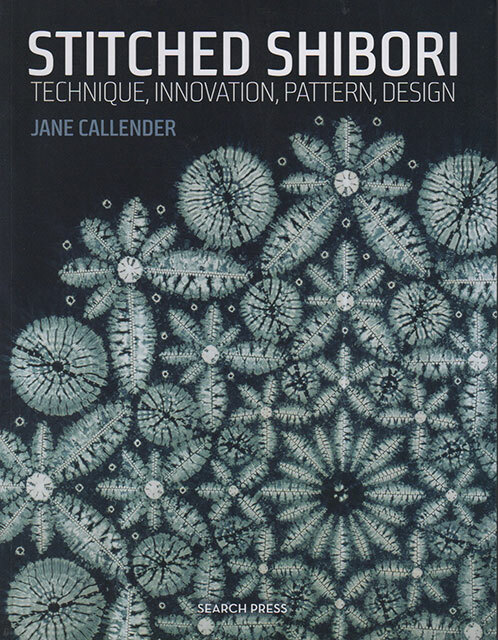 Another gorgeous book for your shelf by master shibori artist Jane Callender will bring joy to your creative spirit. 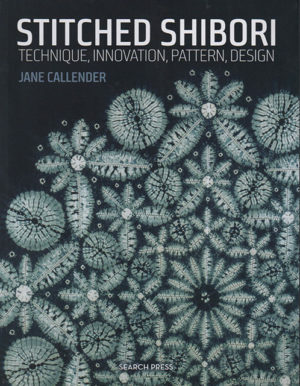 Callender has exhibited widely and is a respected teacher of shibori using both natural and synthetic dye processes. 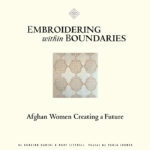 Her artistry and technique leaps from every page providing inspiration for both beginners and experienced textile makers. This new, essential manual contains everything you need to know about creating shibori, including a brief introduction on the origin and definition of the craft. Put together in three parts covering technique, pattern and dyeing, this classic, practical guide covers it all. The information is presented clearly and concisely with a multitude of stitch-resist techniques explained through photos and illustrations. The complex innovative stitch techniques may leave you shaking your head, but jump into the experience and marvel at what this inspirational maker provides. She is sharing a lifetime of experience for all of us to cherish and pass on. 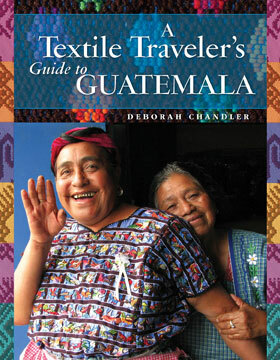 Quilters and lovers of high-quality printed fabrics will enjoy this book. The first section covers Japan’s contemporary quilt makers, fabric designers who design for quilters and sewers, and manufacturers of high quality cottons for makers around the world. 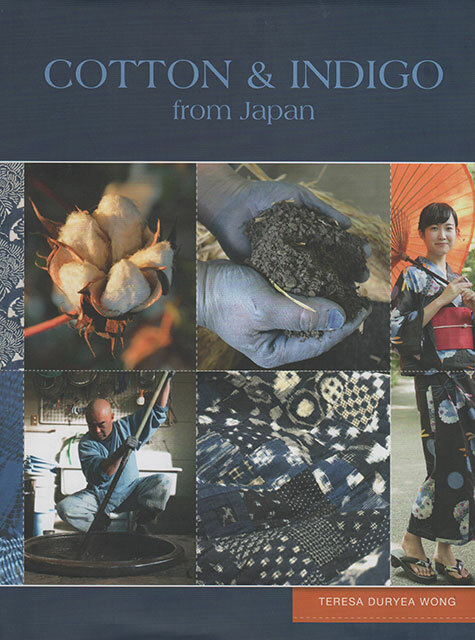 Part 2 features a bit of Japan’s cotton history with interesting chapters on folk textiles, including boro and the efforts surrounding the resurgence of chusen textiles, a specialized artistic form of dyeing cloth with paste resist and carved stencils. High quality cotton fiber is key to the top-of-the-line fabrics now being created in Japan and Ms. Wong gives a shout out to her home state of Texas, which provides high quality cotton fiber to the textile industry in Japan and other countries. Part 3 focuses on indigo and the various places in Japan where certain techniques developed and thrived. Ms. Wong covers the history and varieties of sashiko stitching, originally developed as a mending technique that developed into an art form still practiced in Japan. She showcases many Japanese quilters and fabric designers, giving us a peak into contemporary Japanese textile production and design. Imagine the journey of women who wove their history in brown cotton. Southwestern Louisiana is home to a large population of French-speaking residents with a strong French Acadian cultural background. After finding a home in the bayous of Louisiana they created a culture of lively music, spicy food and close family ties we know as Cajun. Their strong weaving tradition with French roots reaching back 250 years includes spinning and weaving as an integral part of daily family life in rural Louisiana through the end of the 19th century. The Acadians began to use commercial fabrics in the 20th century but never stopped creating beautiful brown cotton blankets. 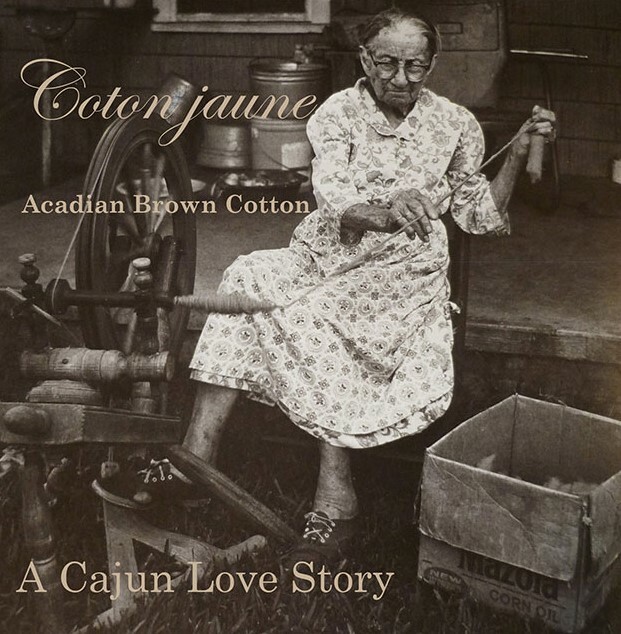 Coton jaune-Acadian Brown Cotton-A Cajun Love Story, tells this amazing story through film. It will whisk you away to another time when mothers created piles of beautiful blankets and household goods for their daughters – each blanket carries the name l’amour de maman, a mother’s love. Get your own copy and enjoy. If you search online for images for “science and art,” you’ll find many beautiful variations of a Venn diagram that shows wonder at the intersection of these concepts. 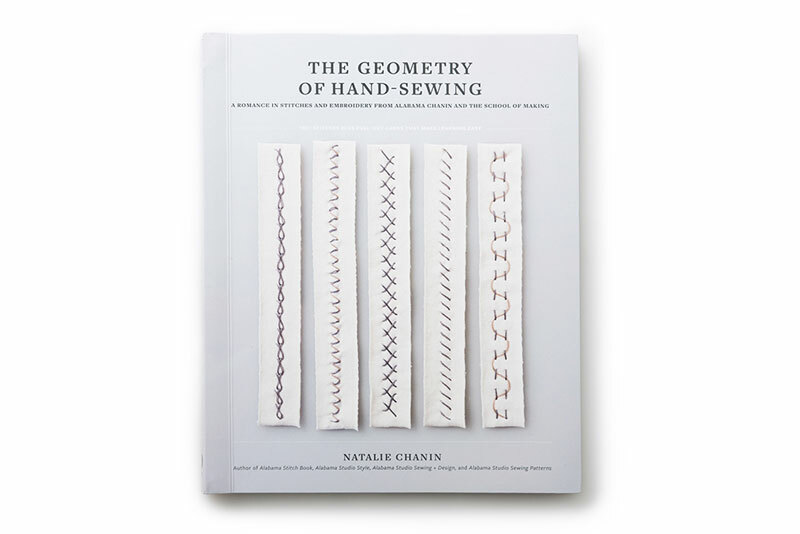 Natalie Chanin’s newest book, The Geometry of Hand-Sewing, brings this notion to life with a modern, ordered guide to embroidery through the lens of geometry, through an elegant, beautifully designed volume that will enrich any stitcher’s library. A close-up view of Chanin’s stitching opens the first chapter. An inside look of The Geometry of Hand Sewing. Chanin is the visionary founder of the Alabama Chanin family of companies (including The School of Making, its educational arm). Known for an aesthetic that’s natural and organic in every sense of the word, her most recognizable garment designs are made in organic cotton jersey with graceful, swirling patterns and textures that are hand-stitched in floss, thread, and beads. What’s less apparent beneath these feminine, botanical designs is that everything Chanin does is grounded in natural order. 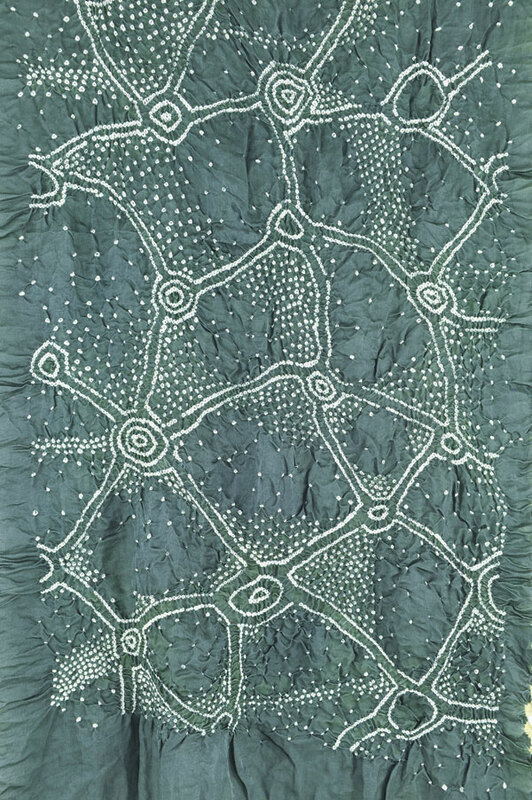 Her stitching methods are built on scientific principles she calls “the physics of sewing,” and her construction techniques and materials are tested to sustain generations of use. 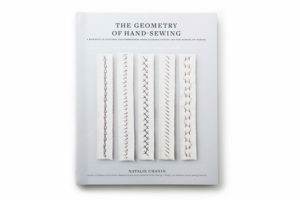 This treasure of a book blends the structure of geometry and the sensuality of stitching by hand. One-hundred-plus traditional stitches and variations are presented in an homage to simplicity and repetition, each stitch a breath, yet offering the possibility of infinite complexity and creativity. It’s a workbook made for practice, with pull-out gridded stitching cards and a hidden spiral binding. At the same time, the formality of the book design and heavy paper add exquisite refinement and the unmistakable pleasure of fine printing (the book isn’t available as a digital edition, and you wouldn’t want it that way). I had the good fortune, as the sewing and embroidery content editor at Craftsy, to work with Natalie Chanin, her assistant Olivia Sherif, and other members both production teams to make her online class The Swing Skirt: Techniques & Construction, a thorough introduction to her garment-making methods. 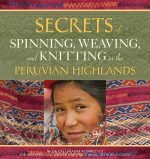 I’ve spent much of 2017 with Chanin’s series of four previous garment-focused books close at hand, and even better, making a couple of her kits. The Geometry of Hand-Sewing feels like both a continuation and the beginning of something new that opens the door to an elevated sense of freedom and design in stitching. If the world in 2017 has often felt like unrelenting, destabilizing chaos, this book is like medicine, returning us to clarity through the gift of hand-stitching that is sometimes quiet and sometimes bold and dazzling but always immensely satisfying and beautiful. Give this book to someone you love who needs that peace and satisfaction, along with a pack of good sewing needles! 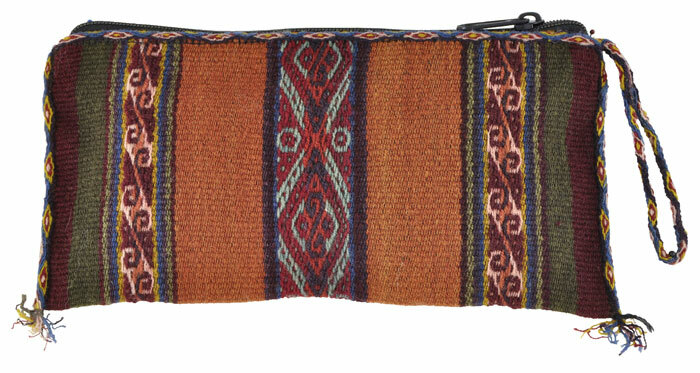 Nilda Callañaupa Alvarez and the Weavers of the Center for Traditional Textiles of Cusco. 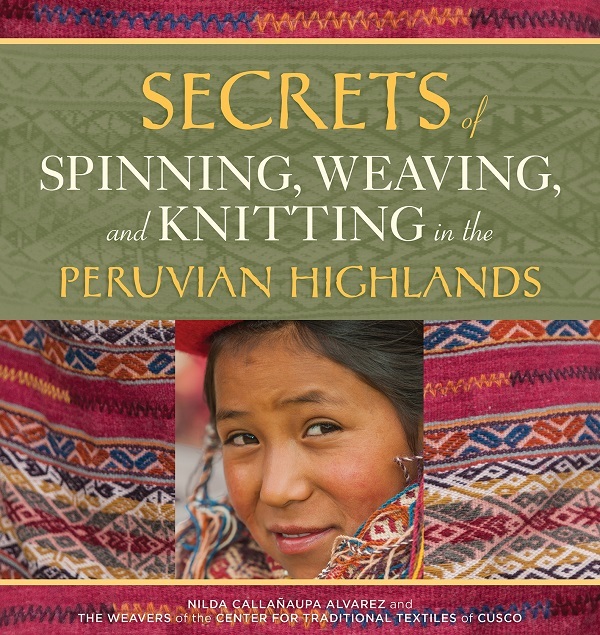 Discover the secrets and stories behind textile techniques from the Peruvian Andes in this dazzling new book. Artisans of all ages share textile tips and tricks and offer concise step-by-step instructions accessible for North American crafters. 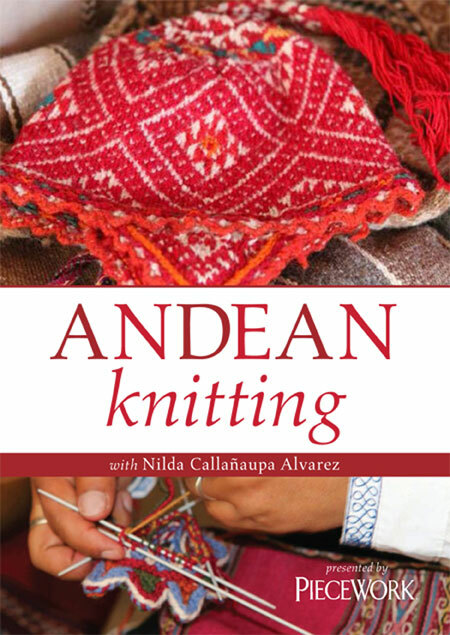 Poignant and detailed descriptions of Andean cultural traditions frame each section. A must-have gift for the crafter in your life. Thrums Books, September 2017. $24.95. Also available in eBook formats. 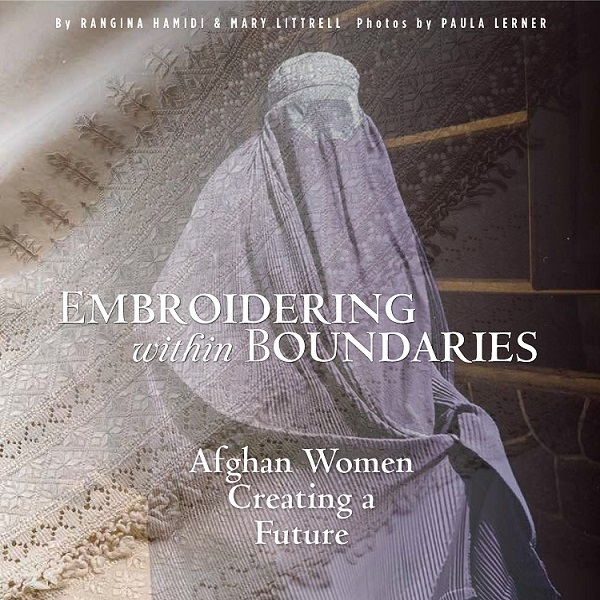 From the harsh and hidden lives of women in Afghanistan emerges a story of creativity, courage, and discovering a future through ancient textile traditions. 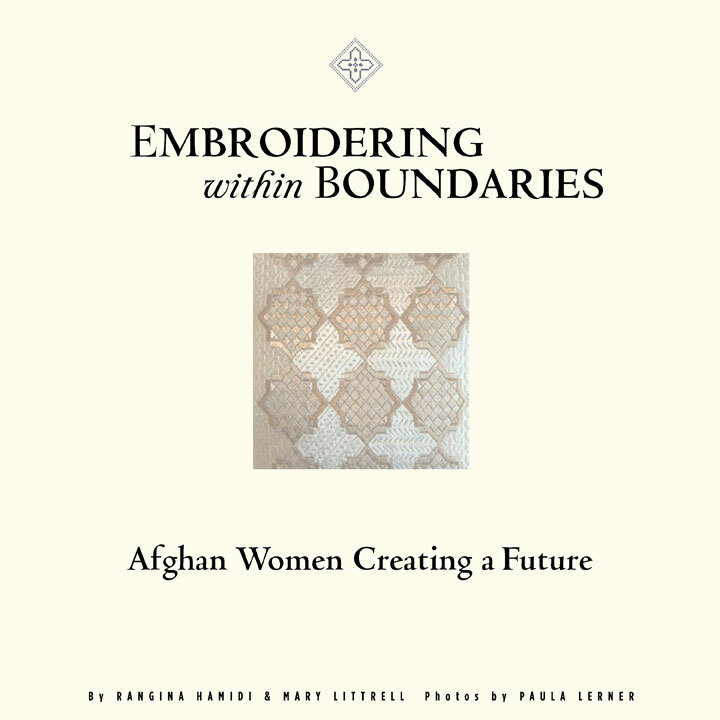 This important new book chronicles the development of a remarkable and inspiring business, Kandahar Treasure, run solely by Afghan women. 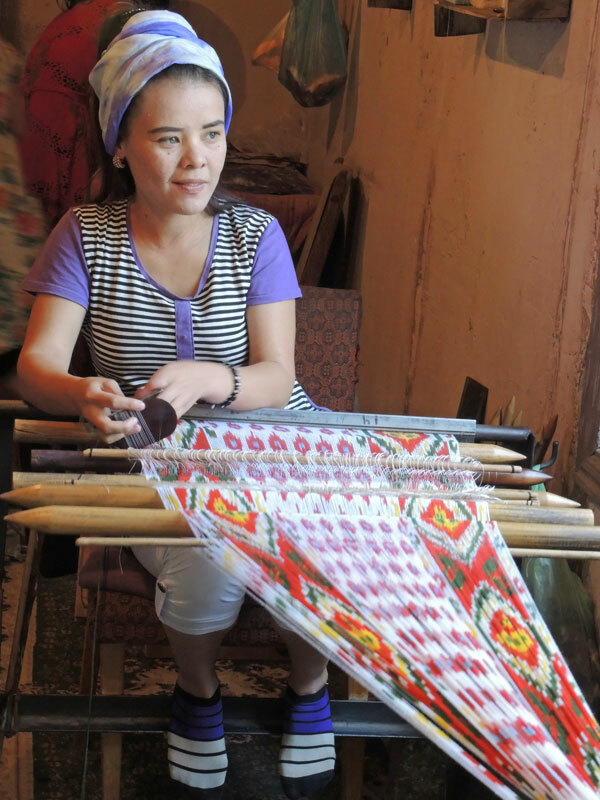 Individual profiles of the embroidery artisans illustrate how they have gained confidence, education, and the will to lead their families into a more stable and prosperous future. This story of strength and persistence of women in Muslim society will inspire women everywhere. Thrums Books, October 2017. $34.95. Also available in eBook formats. 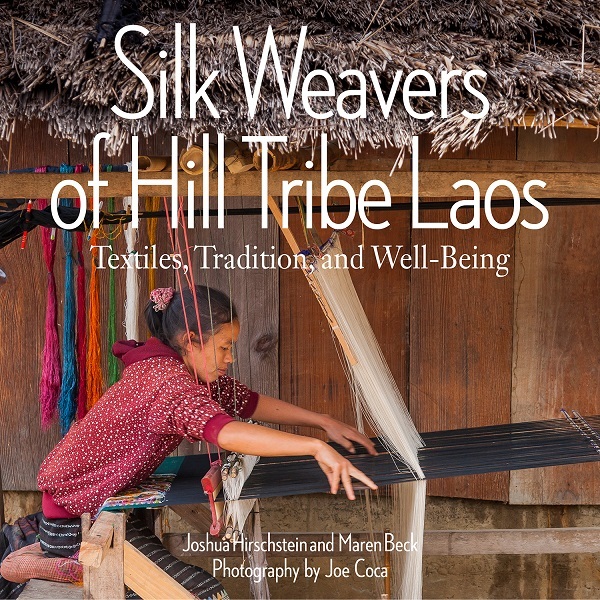 An innovative new book, offering a rare and intimate view of Lao artisans and their time-honored silk-weaving and natural dyeing traditions. This charming travel narrative chronicles a family’s adventures in Laos as they navigate landscape, language, and culture to discover rich craft traditions and a deep sense of well-being. 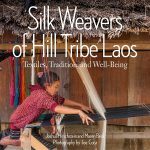 Weavers, spinners, and natural dyers, as well as armchair travelers will delight in the stories and the in-depth exploration of Lao textiles. 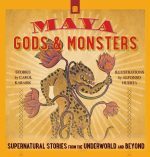 Join Grandmother Moon, Chak the rain god, and a panoply of gods who cavort through the ancient Maya world into the present day. Lush illustrations accompany fifteen surprising and thought-provoking stories drawn from ancient myth and lore of the Maya people. 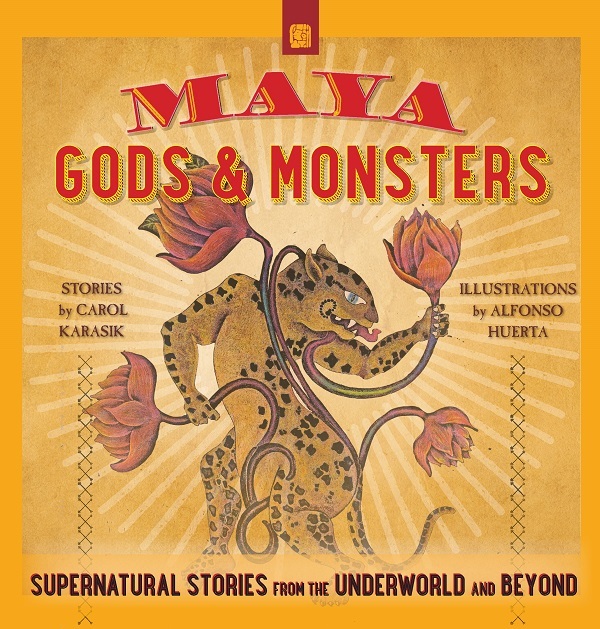 These delightful tales give life to wild and quirky gods, magical monsters, and strange creatures. A monstrously good treat for young readers and adults alike. Thrums Books, April 2017. $16.95. Also available in eBook formats.